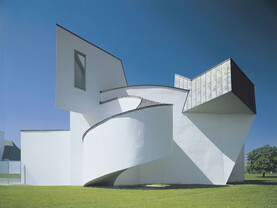 The gatehouse is the entrance to the area of the Vitra Campus that is not open to the public, and which can only be visited by taking a guided architectural tour. 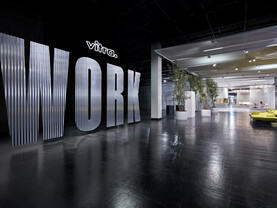 It houses the company security staff as well as a utility room. 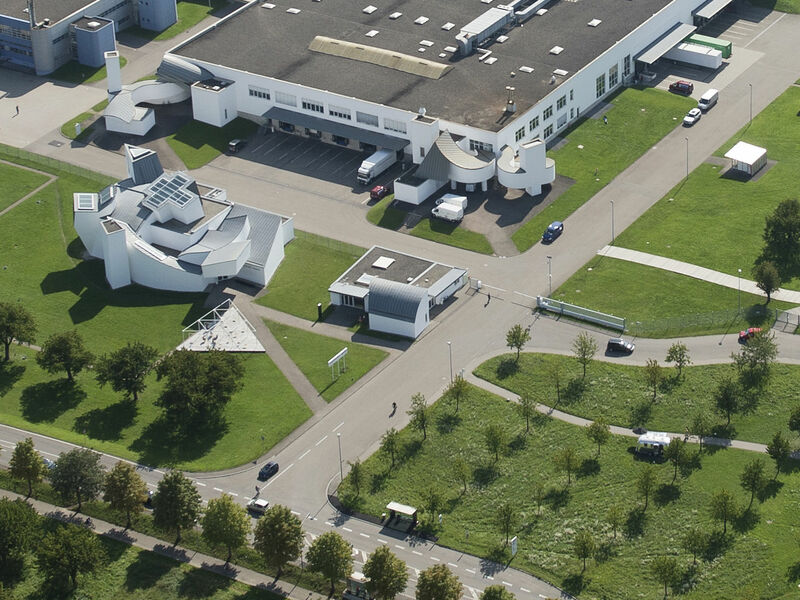 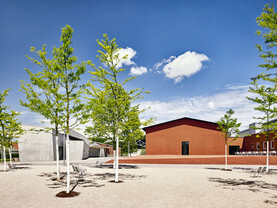 Before the VitraHaus, Vitra‘s flagship store, was built in 2010, the front gate served as the gateway to the Vitra Campus. 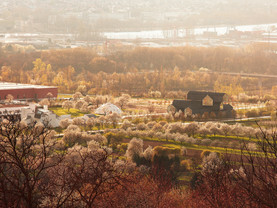 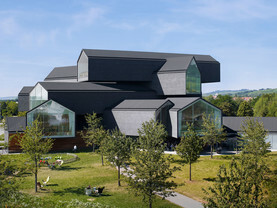 The Vitra Design Museum Gallery was built in 2003 as an annex to the front gate, which was designed by Frank Gehry and has been in place since 1989. 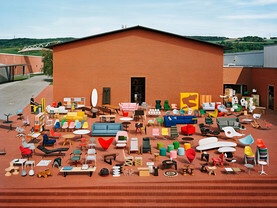 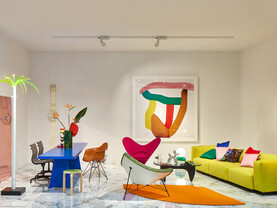 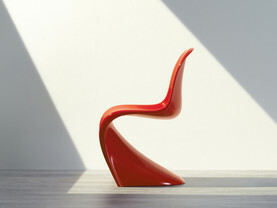 It served to house the Vitra Design Museum Shop until 2010, when the shop was moved into the VitraHaus. 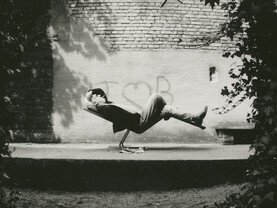 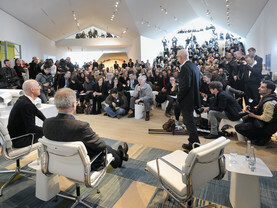 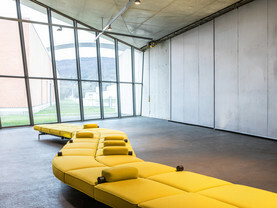 Since 2011, the Vitra Design Museum Gallery has been used for smaller exhibitions and experimental projects held parallel to the larger temporary exhibitions in the Vitra Design Museum's main building.